» A Review by Mike Tooney: CHRISTIANNA BRAND – The Spotted Cat and Other Mysteries. A Review by Mike Tooney: CHRISTIANNA BRAND – The Spotted Cat and Other Mysteries. CHRISTIANNA BRAND – The Spotted Cat and Other Mysteries from Inspector Cockrill’s Casebook. 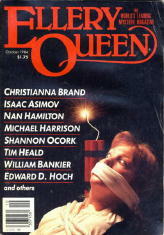 Crippen & Landru, hardcover & trade paperback, November 2002. Edited by Tony Medawar. 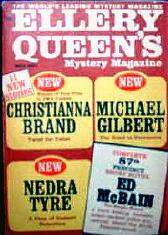 Christianna Brand’s Inspector Cockrill appeared in almost a score of novels, short stories, and even a play, most of which were published in her lifetime. 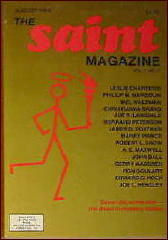 Crippen & Landru have done us a service in preserving all of the short stories that saw publication — and more. Introduction (�In and Out of Darkness”) by Tony Medawar: A well researched article about Brand’s life and progress as a writer. 1. “Inspector Cockrill” (1978) by Christianna Brand: The author writes an amusing but affectionate biographical sketch of her most famous character, patterned closely after her father-in-law, a medical doctor. “He [Cockie] is not one for the physical details of an investigation: ‘meanwhile his henchmen pursued their ceaseless activities’ writes his creator, not too sure herself exactly what those would be; and he is content to leave fingerprint powder and magnifying glass to the experts, using their findings in a process of elimination, to get down to the nitty-gritty from there on. In a famous play by Shakespeare, Othello strangles his (reputedly) faithless wife; back in the 1920s, an actor playing Othello at the time apparently did the same thing in the lady’s dressing room backstage. An unnamed Great Detective reminisces about the case to a group of acquaintances, among them Inspector Cockrill, who predictably pokes holes in the speaker’s handling of the situation, much to the Great Man’s chagrin. And one should always remember, as Cockrill does, that theatrical people have been known to put on an act …. Note: Inspector Cockrill, cracking walnuts and irritating the Great Man, is an armchair detective in this story. Brotherly love, like all relationships, seems to have its limits. Two siblings, identical twins, have been with the same girl, competing for her affections; but now, it seems, she is pregnant by one of them. The situation is further complicated by several factors: The girl knows that one of the brothers has killed a small boy in a hit-and-run; she is also married to a huge brute doing time in one of HM’s prisons but due soon for release; and one of the siblings harbors enough hatred to let the other take the fall for first-degree murder. Inspector Cockrill — who enters in the last third of the story — simply lets things take their natural and inevitable course, as David and Jonathan rapidly degenerate into Cain and Abel … with a twist. Note: Instead of being told in the third person, this story is narrated by one of the brothers. When wealthy Cyrus Caxton — a nasty piece of work, that one — does a Brodie face first into his half-eaten peach, no one of his acquaintance is moved to shed a tear, save his attractive wife. 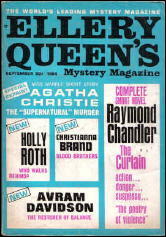 Inspector Cockrill is called in and confronts a fine set of likely suspects; in the end, the Inspector, Ellery Queen-like, has proposed two plausible solutions before pouncing on a third, actual one. CASE HISTORY: Stella Harrison is a small-town doctor’s wife more than a little bored with her lot in life; her husband Richard, a painfully honest individual, seems oblivious to her incipient disaffection — and equally unaware of her secret love for his partner, Frederick Graham. A nurse at the hospital, Ann Kelly, however, makes no secret of her undying love for Stella’s husband… Ann makes a fatal mistake, though, when she decides to stage a bogus suicide attempt in Dr. Harrison’s surgery …. DIAGNOSIS: Murder. PROGNOSIS: Life in prison for a killer who remembers every detail but one …. Note: The murderer’s identity is never in doubt; we see the crime committed. The interest lies in how Chief Inspector Cockrill, a la TV’s Columbo, will trip up the perp — because this killer uses the truth as a cover. And so he carefully begins building two alibis, one for himself and a negative one for the hapless Peter… And it all works beautifully — except for one thing, and you don’t have to be Detective Inspector Cockrill to figure it out. Note: The bulk of this story is told in the form of a written confession. Cranky old Aunt Adela has millions, but true to form she is parsimonious and secretive about her wealth; her niece Franca doesn’t really care if she inherits — but there’s someone she knows who is greatly interested in the old lady’s money, someone willing to kill for it. When Aunt Adela is found dead, her house ransacked for a missing will, Chief Inspector Cockrill zeroes in on Franca: “You inherit,” he says. “And you hold the only key to the door.” But the killer already has Franca marked for murder, and knows as well the secret Keeper, the cowardly mastiff, is harboring …. Note: It seems Cockie doesn’t really solve this one, and takes no active part in apprehending the murderer; he is a secondary character here. Taking a break from a village fete “on a boiling hot afternoon” to have “a little booze-up”, the Duchess of St. Martha’s Island retires to her castle with Miss Maud Trumble, “rich and famous author of dozens of really quite terrible books”, and Chief Inspector Cockrill. Seemingly gripped by a feeling of guilt, Miss Trumble, “mildly squiffy,” relates her involvement in the unresolved Case of the Three Dead Ladies: “three women lying dead, spread out like a trefoil clover-leaf, their poor heads forming the centre point…” Cockie and the Duchess both prove able armchair detectives by “solving” this fifteen-year-old case. “It was like a detective story, thought the Duchess, where the clues are placed not so much squarely before the reader as slightly obliquely, so that they come out as not quite what in fact they are.” Just so. As in “The Hornet’s Nest,” Cockie devises two plausible scenarios — but the actual solution, one not of his devising, comes as an exasperating — and exasperatingly simple — surprise to both him and the unsuspecting reader. 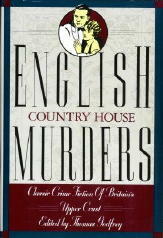 Note: “The Man on the Roof” can also be found in Thomas Godfrey’s English Country House Murders, 1989. A short-short story (one and a half pages) that should serve as a warning to all investigating officers not to get tunnel vision whenever someone’s alibi is in doubt. Things aren’t going particularly well for barrister Graham Frere these days: His legal prowess is failing, he’s experiencing problems with alcohol, and he is beginning to think he’s going crazy. Nice people! But the conspiracy falters when the worm turns and murder is prescribed …. Despite a few typos (e.g., “does” for “dose,” “desert” for “dessert”) and some problematic punctuation, this book can be highly recommended. 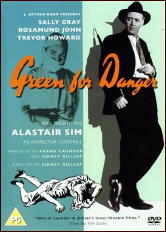 Loved GREEN FOR DANGER, including the movie with Trevor Howard. Never read any of the shorts though. Cockie is the most human of the great sleuths, more likely to be wrong or only partially right than any of the others. Brand’s characterization is superior, but I will always visualise Cockie as Alistair Sim played him.